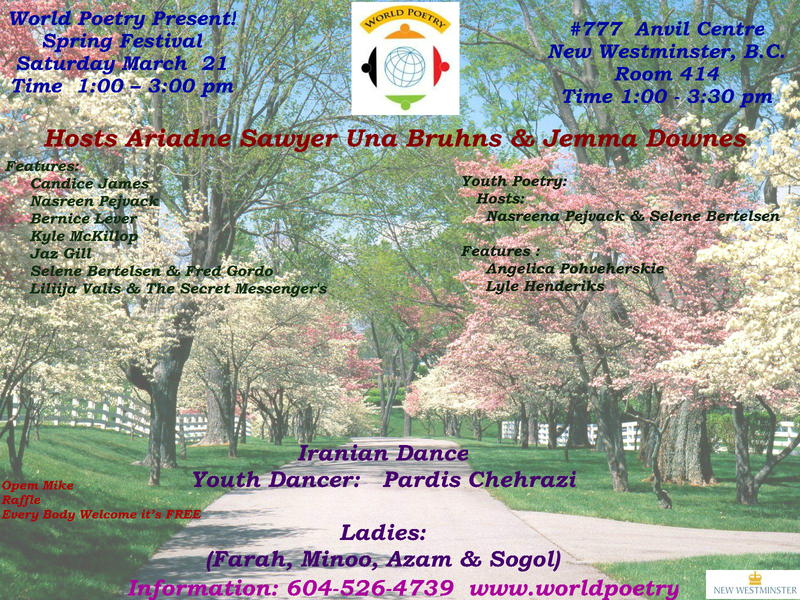 World Poetry Proudly Presents a Spring Festival, March 21. Under the direction of Una Bruhns and the able team of Jemma Downes, Jaz Gill, Selene Bertelsen and Nasreen Pejvack, this wonderful celebration at the new Anvil Centre, 777 Columbia Street, New Westminster, BC anvilcentre.com/ in New Westminster, B.C. 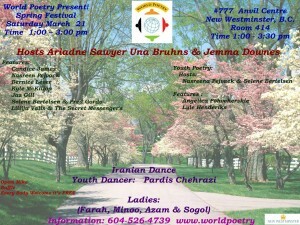 Canada will present and amazing variety of poetry, music and dance. Display tables and a free raffle will also be there with artists and authors displaying their talents. Create a fat free lollipop poem! World Poetry have a table with space for your books also. Sharon Rowe will also have a book table and bring her special paper flowers. A free event for you! Poster by the talented Nasreen Pejvack. This entry was posted in Ariadne's Notes, General, Ongoing World Poetry Events, World Poetry Special Events, World Poetry Youth Team and tagged International Peace Award Ariadne Sawyer, Jaz Gill, Nasreen Pejvack, Neall Ryran, Selene Bertelsen, Una Bruhns on March 20, 2015 by Ariadne. 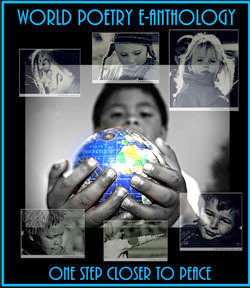 World Poetry Presents Author Anita Dennis from the US! Ariadne’s Notes: The World Poetry Café Radio Show with hosts Ariadne Sawyer and Una Bhruns, welcomed the author : Anita Dennis with her fascinating account of life in Africa. Also on the show, an e-poem by Betty Patton for St Patrick’s Day and a call in from Dr.Paul Rowe about an upcoming conference. To hear this wonderful show: CLICK HERE! American and the hereditary chief of a tribe in Liberia. For more than 10-years, Dennis and her husband traveled throughout Africa and experienced a side of life that most can only imagine. 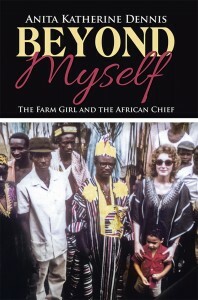 Upon her husband’s passing, Dennis penned a memoir of their time together titled “Beyond Myself: The Farm Girl and the African Chief”. She published due to her desire to share her own racial and cultural experiences and create a dialogue that furthers understanding between races and cultures. missionary. She is the co-author of Slaves to Racism: An Unbroken Chain from America to Liberia, 2009.
woman sitting in the chief’s chair at the front of an open meeting house. aisle. Men and women on crowded wooden benches stared at me. This entry was posted in Ariadne's Notes, E-Poets, Featured Poets, General, Ongoing World Poetry Events and tagged Anita Dennis, Beyond Myself: The Farm Girl and the African Chief”, International Peace Award Ariadne Sawyer, Una Bruhns on March 19, 2015 by Ariadne. World Poetry Proudly Presents Myna Wallin from Canada! Ariadne’s Notes, The World Poetry Café Radio Show with hosts Ariadne Sawyer and Una Bruhn proudly presented the talented poet Myna Wallin in a special radio program Tuesday night , February 3rd. Also featured was a phone in by tech Israel Mota, Creativity Rocks by Ariadne Sawyer and music by Rene Hugo Sánchez, Swan Walker and Ablaye Cissoko and Volker Goetze. To hear this “magical” show CLICK HERE! 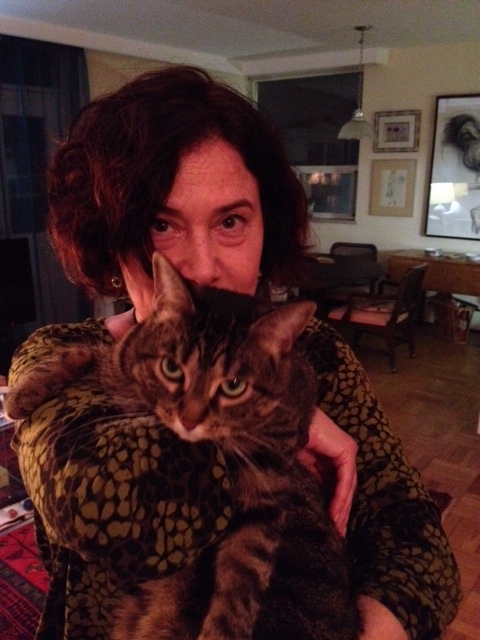 Myna Wallin is a Toronto author and editor. She has had two books published, a collection of poetry, Thousand Profane Pieces (Tightrope Books, 2006), and a novel, Confessions of A Reluctant Cougar, (Tightrope Books, 2010). “Confessions” was long listed for the ReLit Award in 2010. Her poetry has won her two honourable mentions: in 2009 she received an Honourable Mention in the CV2 2-Day Best Poem Prize, and in 2010 she received an Honourable Mention in the Winston Collins/Descant Prize for Best Canadian Poem. Last winter a poem of hers hung at the Art Gallery of Ontario, along with two paintings of her, in an exhibit entitled, “Why Not Paintings of Poets?” This fall she had the honour of reading her poem about Gordon Lightfoot to Gordon Lightfoot. A piece of hers will appear among luminaries such as Leonard Cohen in a new collection, Where the Nights Are Twice as Long: Love Letters by Canadian Poets (Goose Lane Editions, 2015). Her books for sale can be found at www.mynawallin.com or www.tightropebooks.com or on Amazon.ca or amazon.com She has 2 paperbacks (one is a collection of poems and one is a novel. The novel (Confessions of a Reluctant cougar, will soon be available as an eBook!! She can also be found by just typing her name into the google search engine. in suits, appetites wander. This is the new urban pairing. poet laureate,” to his girlfriend, just published in Grain. a sonnet or haiku to the table the romance is dead. This entry was posted in Ariadne's Notes, Featured Poets, General, Ongoing World Poetry Events and tagged Ablaye Cissoko, International Peace Award Ariadne Sawyer, Israel Mota, Myna Wallin, Una Bruhns, Volker Goetze on February 4, 2015 by Ariadne.